It may take one person to both monitor the robots and manage the herd, but it takes another two people to manage an organic pasture and another two minimum to grow and harvest crops. Also, even after 20 years of improvement and software updates computer driven systems still break down and are very expensive. What they don’t tell you is that the farmer is chained to their smart phone because the system alerts the farmer of system fails due to quick weather changes, manure splatter on an infrared sensor or other common scenarios. The system shuts down if anything is not perfect and it has to be manually reset to start up again. You cannot wait to reboot during business hours because if a milking robot goes down for more than two hours it takes two days to catch up with cows selectively milking on their own schedule. You cannot line cows up and force them through a robotic milker to catch up. If the system calls you, you must immediately go to the farm to get it back up and running whether at three AM, or during breakfast, or a soccer game. 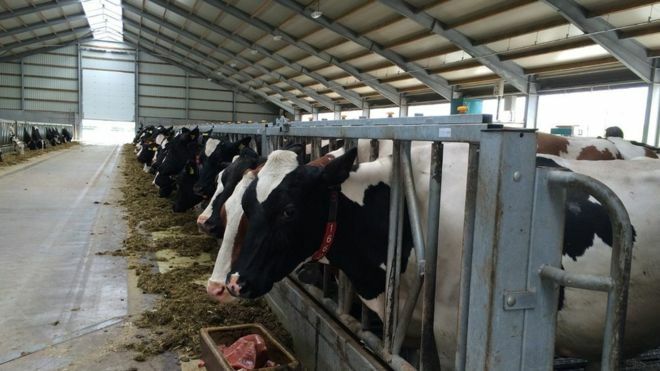 Not too long ago, 700,000 people were employed on dairy farms in the UK (they could not even bring themselves to say the number during the interview), where 70,000 who work on UK dairy farms today. 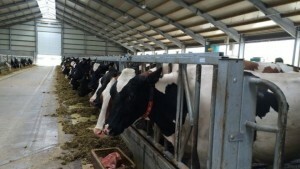 Technology has it place and some aspects can improve the management of dairy herds. By using machines we are further separating ourselves from our food. Some call it slave labor, and that does exist, but to become a slave to a machine has never worked out well in our brief interacting with them.